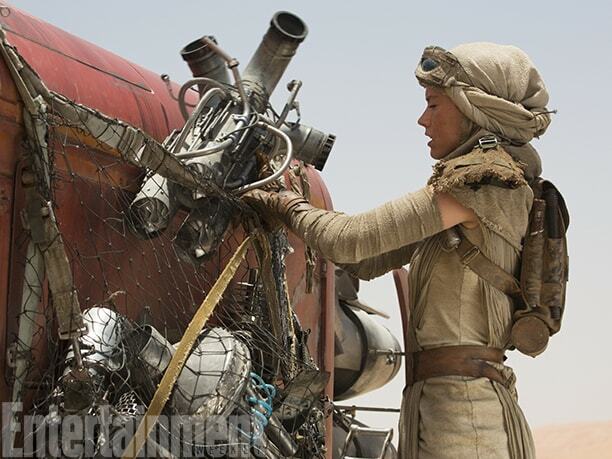 Entertainment Weekly Releases A New Gallery of Star Wars: The Force Awakens Images! 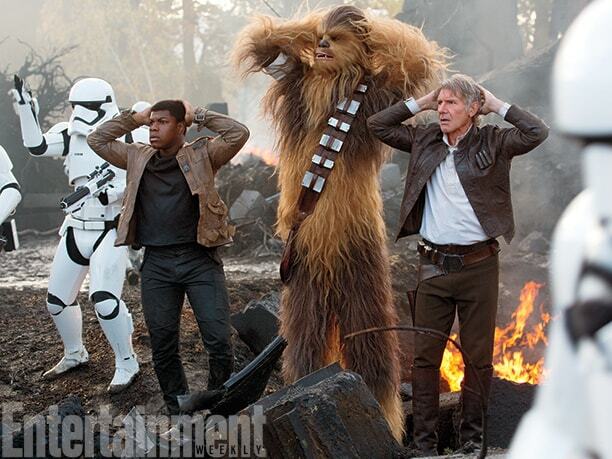 If you’ve been following Entertainment Weekly‘s Star Wars: The Force Awakens coverage over the last year or so, you know that once in a while they decide to flex their considerable Force powers and drop several amazing exclusives at one time. Today is one of those days. 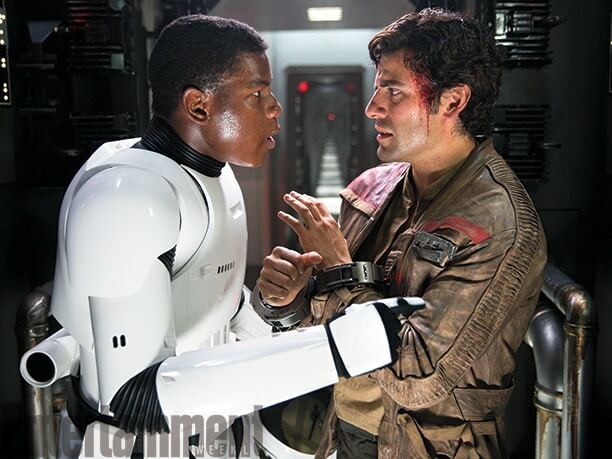 Just a few moments ago, EW released an exclusive new gallery of images from The Force Awakens and it’s pretty great. In addition to the new covers and the images of Han that were released earlier today, the gallery features some brand-new images that are guaranteed to make any SW fan’s mouth drool. Below are a few of my favorites but be sure to head over to Entertainment Weekly to view all 27 images and shout out to Anthony Breznican for his amazing work! There’s so much awesomeness in these pics! 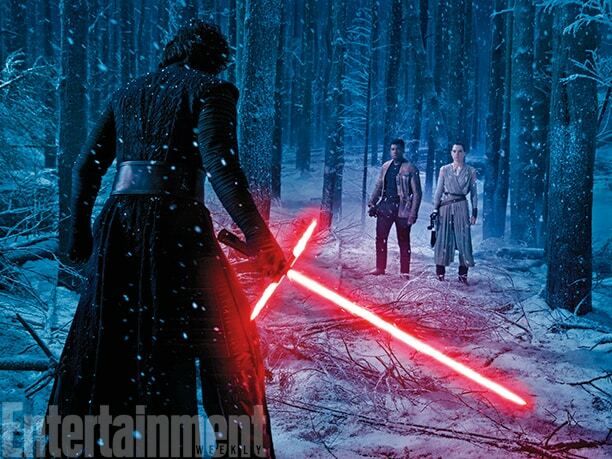 Finally we see Kylo vs. Rey and Finn! 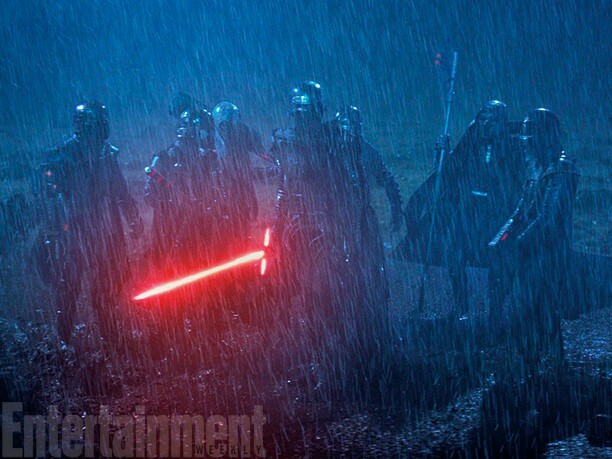 Notice the red accents on the weapons of the Knights of Ren? What are thoooooose?